Our most recent creation is finally here! The Mini City by McKean Studio! The first city in what will hopefully be a range of cities to come, is Palm Springs! 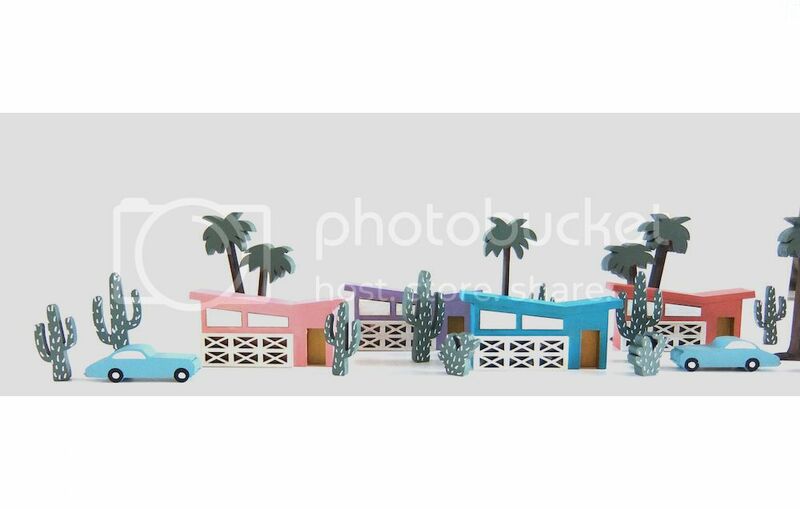 You know we're a little obsessed with those palm trees and mid-century architecture, so it's no surprise really. 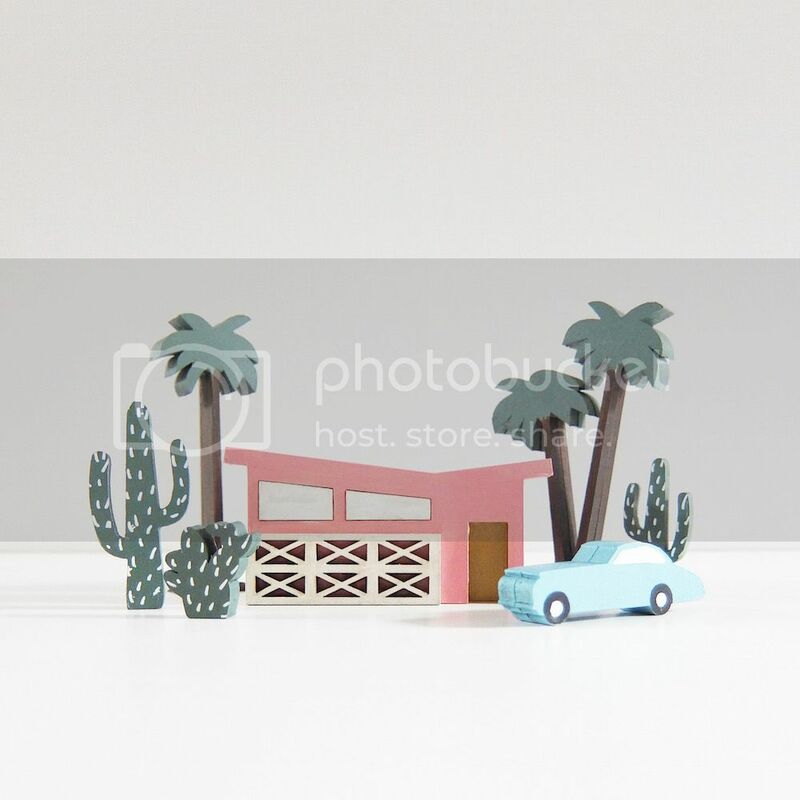 Mini-models that you can display in your home and daydream of holidaying somewhere sunny! I'm going to pop mine on the window sill and dream of owning a mid-century house some day in the future. Available now in the online store. Limited numbers (these things take me ages to make! ).